Math Riddle Book - Puzzle Worksheets that Teach Math! 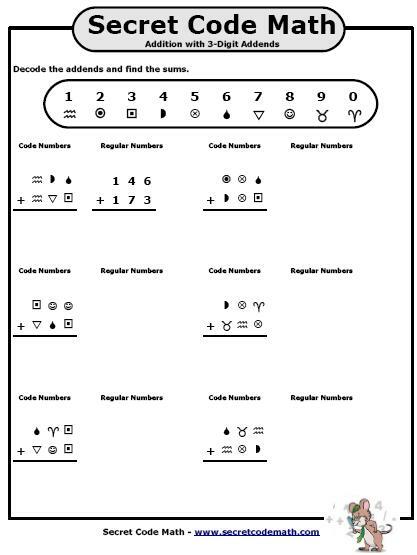 The Math Riddle Book and Secret Code Math are eBooks that you can download and print. They each include a series of high-interest math worksheets that students love! Add four digit numbers to discover the answer! If you can complete the subtraction (without borrowing) problems, you'll find out! Any child who knows their basic multiplication facts can unlock the secret answer! Solve the Long Division Problems (with 2-digit quotients) to decode the punchline! Practice Rounding Money and fill in the puzzle that will have you laughing your head off! is no longer available on this website. The Math Riddle Book is no longer available fore sale on this website. 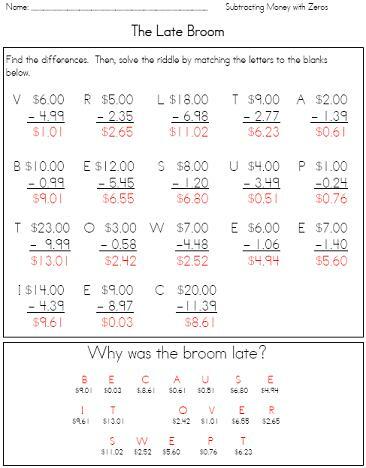 HOWEVER, Super Teacher Worksheets is going to be posting updated versions of our Math Riddle and Secret Code Math worksheets on their website. PAST CUSTOMERS: If you need tech support, we're still here for you. Feel free to mail me, at the address below if you need assistance. These books are the perfect supplement to any math program! M.R.B. and S.C.M. Math Worksheet Collection is a Hit! See What Everyone's Saying! I just wanted to thank you for compiling the Math Riddle Book. I'm a long term sub and my students love them and so do their parents. When I use them (which is not every day, of course) they get excited about doing their homework. What I love about the worksheets is that they are essentially self-correcting. I started using them with the subtraction concept of 'borrowing across zero' because I knew that some kids were struggling with the concept. Since they had to get the correct answer in order to solve the puzzle, they kept re-working their problems until they were correct rather than just adopting a 'get it done and I don't care if it's correct' attitude. I did notice that the erasures in the first 5 problems were considerably greater than in the subsequent problems indicating that they 'got it'. Thanks again from me and the parents! It's the best $20 I ever spent. Thank you very much for your prompt response! I have been telling my co-workers about how great your books are and will now add what wonderful customer service you have. Thanks again. Love Love Love your books! My kids can't get enough! Please write more, more, more!! To read more real, unsolicited fan mail, check out the testimonials page. Math Practice Worksheets Can Be Exciting! Math Riddle Book Page: Solve the math problems to discover the answer to the riddle. 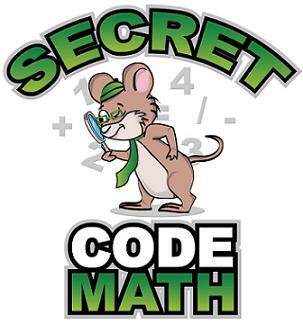 Secret Code Math Page: Use the key to decode the Math problems, then solve! 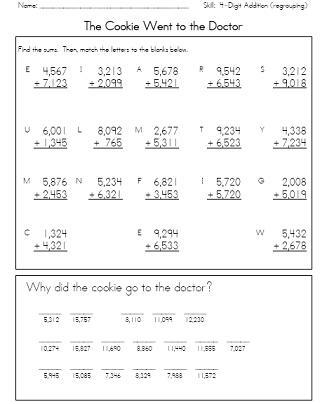 Please visit Super Teacher Worksheets to download Math Riddle Worksheets.